Adam Smith has become a key component of the first-team picture, primarily a right full-back he has also shown his adaptability in playing Premier League matches at left full-back and on the wing. The English defender came through the youth academy at Tottenham Hotspur and made one senior appearance for the London club during his time there from 2008-2014. During that time, the full-back went out on loan to seven different clubs including Leeds United, Derby County and Bournemouth in the 2010/11 season. Capped at all levels by England between under-16 and under-21, he made 11 appearances for the under-21s. Smith signed for the Cherries permanently in 2014, making five appearances in the Championship that season before featuring regularly in the club’s Championship-winning campaign the following season. The right-back cemented his place in the starting line-up in the Premier League in 2015/16, scoring crucial goals in the memorable 3-3 draw with Everton and in the 2-1 win over West Bromwich Albion. 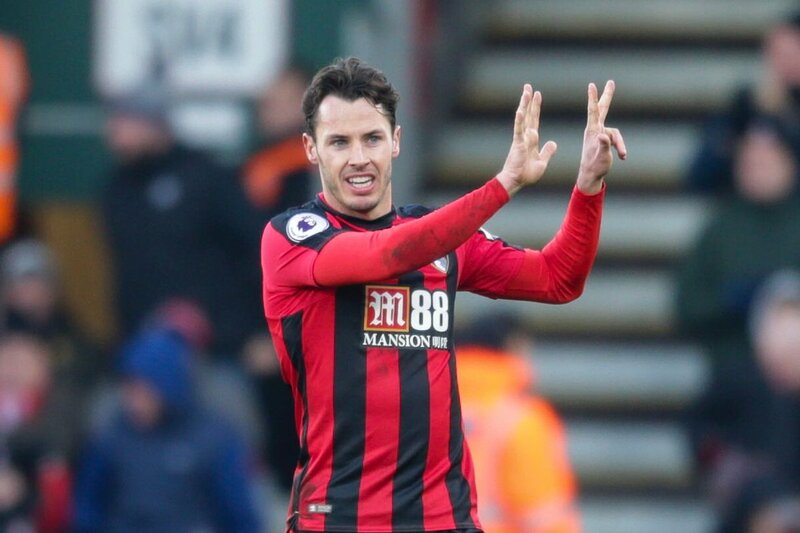 In the Cherries’ second top-flight campaign, Smith shone as an attacking threat and no other Premier League player accumulated more assists in the league than him last season – him and Kyle Walker both making five goals. Smith said he was looking to add further goals to his name and scored once in 2017/18, a goal-of-the-month contender against Newcastle United that set the scene for a dramatic comeback in a 2-2 Vitality Stadium draw. He starred in the club's best start to a Premier League season in 2018/19 and scored in the 4-2 win over Leicester at Vitality Stadium in September 2018. However, a knee injury sustained at Newcastle in November 2018 ruled him out for two months before he returned to start the 2-0 defeat at Everton in January.